If you look at the numbers, 2014 turned out to be a very good year for the auto industry. Total new automobile sales in the U.S. came in just north of 16.5 million vehicles—the best showing since 2006. In all, 13 automakers logged record sales years in 2014, not an all-time high, but close. And that’s despite more than 63.5 million vehicles recalled last year—a less auspicious record that had the potential to dramatically slow sales momentum but didn’t. Recalls are often big news, and 2014 featured two of the biggest in automotive history: the General Motors ignition switch and Takata airbag-inflator debacles. The nearly 64 million vehicles recalled in close to 800 campaigns last year in the U.S. were more than the total from 2011 to 2013 combined and double the previous all-time high in 2004. This is according to the firm Stericycle, which tracks recalls using data from the NHTSA, the feds’ automotive safety watchdog. Stericycle also says more than 60 percent of the overall number can be traced to those two situations. The imperfect storm began in February 2014, when GM started recalling cars as the reports of deaths and injuries gained steam. More than 40 deaths have been blamed on the faulty parts, which have been shown to shut off the car at speed, making it undrivable and the airbags non-operational. 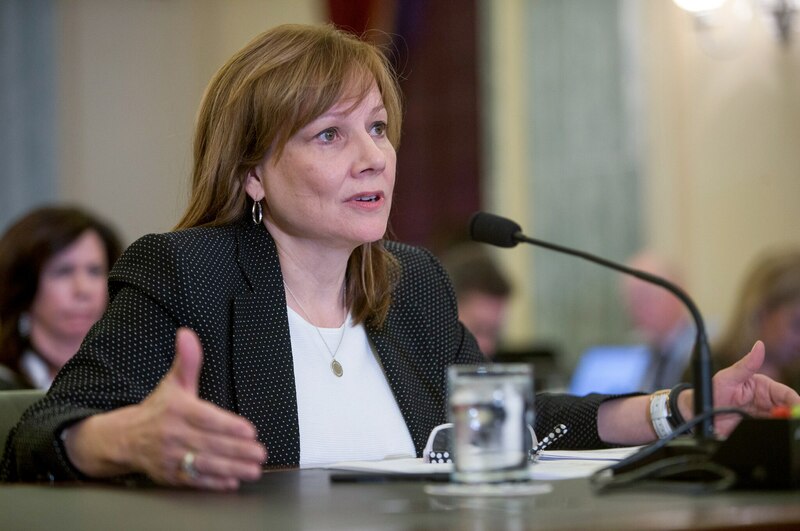 Then-new GM CEO Mary Barra was flambéed by Congress about the matter, and the General’s multi-year ham-handed approach to the problem laid bare. GM called back almost 27 million cars in all in 2014, with the overwhelming majority of the total related to the ignition issue. That equates to roughly 40 percent of GM cars on U.S. roads today, the automaker’s most ignominious recall year by a long shot. It will cost the automaker billions to fix the problem and settle the lawsuits. Recalls are often big news, and 2014 featured two of the biggest in automotive history. Just when the GM news started to die down, the Takata saga, another multi-year mess, took center stage in June. Takata’s issue affected driver-side airbag-inflator units, which have the potential to eject deadly metal shrapnel when the airbag deploys. This problem has dogged the Japanese company, a supplier to several of the world’s biggest automakers, since as early as 2008. Takata traced the issue to areas with persistent high humidity and hoped to limit the recall. But the feds got involved, more hearings were held, and demands were made to fix the issue nationwide. Honda took the brunt of the Takata bad press as the airbag manufacturer was one of its most trusted suppliers and four U.S. deaths attributed to the issue were in Honda-built vehicles. Honda says it had taken steps to address the problem with Takata before last year, but there was no denying the dent to its reputation. (Making matters worse, the feds just slapped a record $70 million fine on Honda for underreporting safety issues.) Honda recalled a record 8.9 million vehicles in 2014, with more than 5 million of that number related to Takata. Others who used Takata inflators also took big hits. Roughly 3 million of Chrysler’s record 8.8 million recalled cars were due to the airbag issue. So it’s nothing short of miraculous that despite all the negative coverage, GM finished the year with 5 percent growth in year-on-year sales. Honda posted a record year, and Chrysler (now Fiat Chrysler Automobiles) did as well. Cratering gas prices, low interest rates, and increasing consumer confidence have no doubt helped. As anyone who frequents auto message boards knows, Internet trolls gleefully rejoice when automakers they disdain recall cars, citing them as evidence they can’t produce quality vehicles. But the truth is recalls happen to most every automaker, and many of them are minor in nature. It is how companies handle them that can make all the difference in how they are perceived by their customers and the public at large in the long run. Despite the missteps made in the GM and Takata sagas and the resulting bad press, it seems buyers looked past the mistakes, even the ones with tragic consequences. The fallout wasn’t in depressed sales but in the billions yet to be spent, the corporate shake-ups, and lawsuits that will likely course through the industry for years to come. Does the number of recalls an automaker announces affect your opinion of the brand? Let me know at letters@automobilemag.com. Cars to have full Level 5 autonomy by end of this year.